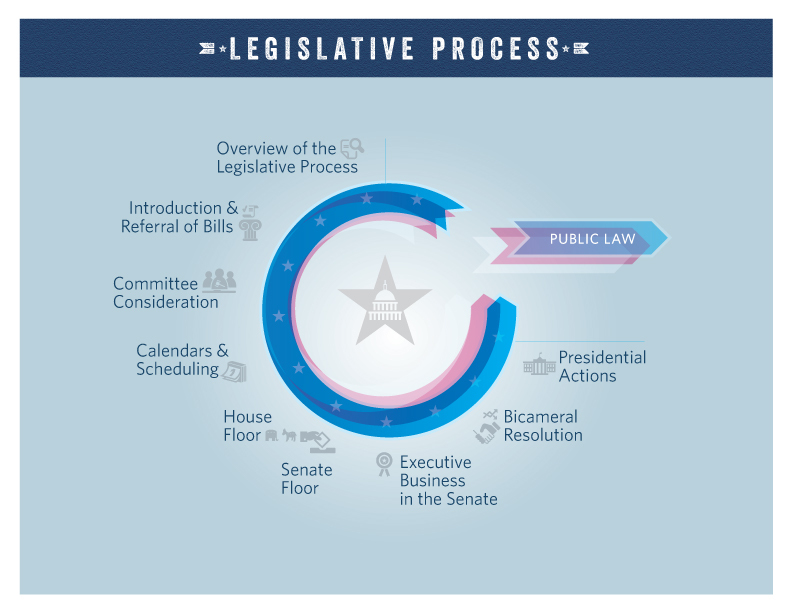 To consider a bill on the floor, the Senate first must agree to bring it up – typically by agreeing to a unanimous consent request or by voting to adopt a motion to proceed to the bill, as discussed earlier. Only once the Senate has agreed to consider a bill may Senators propose amendments to it. Perhaps the modern Senate’s defining feature is the potential difficulty of reaching a final vote on a matter. Most questions that the Senate considers – from a motion to proceed to a bill, to each amendment, to the bill itself – are not subject to any debate limit. Simply put, Senate rules provide no way for a simple numerical majority to cut off or otherwise impose a debate limit and move to a final vote. As a result, Senators can effectively wage (or threaten to wage) a filibuster – in effect, insist on extended debate in order to delay or prevent a final vote on most amendments, bills, or other motions. In addition, Senate rules provide few options to comprehensively limit the amendments proposed to a bill. Unlike the House, for example, under most circumstances amendments in the Senate need not be germane, and amendments sometimes involve subject matter unrelated to the bill in question. This can lead to a much more wide-ranging and less predictable floor debate than typically occurs in the House. Senate Rule XXII, often called the cloture rule, does allow a supermajority to limit debate on a bill, amendment, or motion; in addition, in the case of a bill, cloture limits the amendments that can be offered. Supporters of, for instance, a bill under floor consideration can file a cloture motion, signed by at least 16 Senators. Two days of session later, Senators vote on the cloture motion. If three-fifths – usually 60 Senators – agree, then further consideration of the bill is limited to 30 hours, during which only amendments from a pre-specified list of germane ones can be offered. After this final period of consideration, the Senate will take a final vote on the bill. This final vote requires only a simple majority for approval. But because a cloture process is often required to end debate on a bill, then the bill first must garner the support of a three-fifths supermajority. All told, this process of reaching a final vote on a bill can require about a week of Senate floor time to complete. Overall, these rules and practices governing floor debate and amending in the Senate provide significant leverage to each individual Senator. But rather than relying on the formal rules like cloture, frequently the Senate can more effectively act using unanimous consent agreements. 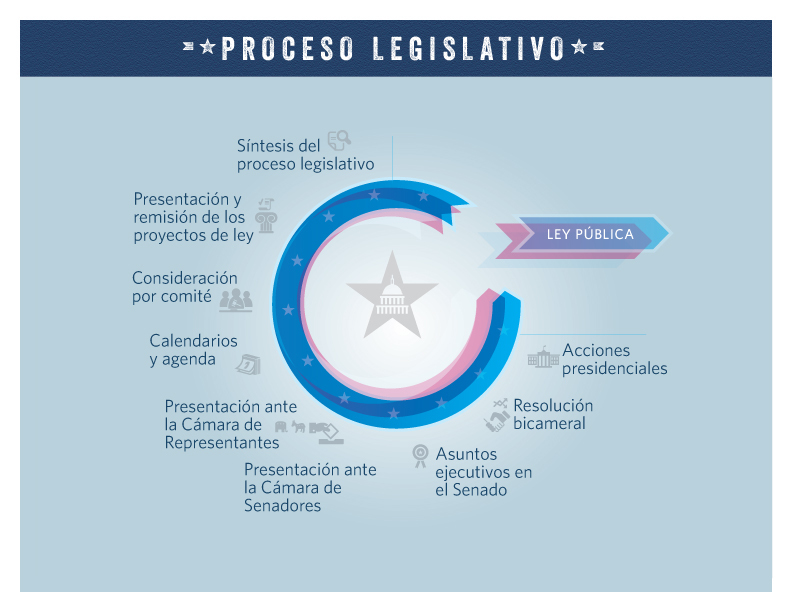 Such an agreement is a structured plan for limiting debate and amending – a plan that can be tailored to each bill that comes to the floor (somewhat akin to a special rule in the House). Through the use of these agreements, the details of which all Senators have agreed upon, the Senate can more effectively process its business while protecting the procedural rights of each of its members. While many votes are conducted by voice, a recorded vote is required in some cases, and is often requested by Senators in others. Unlike the House, the Senate does not have an electronic voting system; recorded votes are conducted through a call of the roll.